I love to give gifts that when you purchase them some of the proceeds give back to a charity. I wanted to show you a great gift idea for the animal lover in your life. A charity that is near and dear to my heart is the ASPCA. You can read about this wonderful organization and all they do to help protect and care for animals here. I found these pillow covers on Pottery Barn Teen. Super cute and with every purchase of one of these, Pottery Barn gives back to the ASPCA. This is the one I purchased. Yep! looks like someone that lives in this household! I did not receive anything from Pottery Barn to give a shout out on these pillows. I just love when I can find gifts that have meaning and give back. 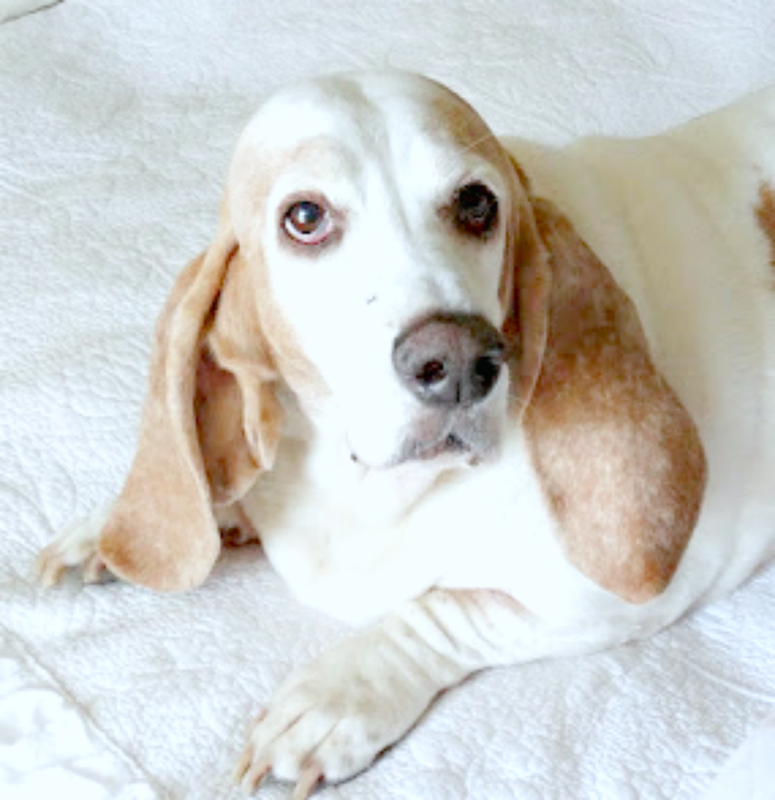 This one of the basset hound touched my heart and I love to support the ASPCA. Hope if you are still trying to find a special gift for the animal lover on your Santa list one of these pillow covers might just be that perfect gift. Hope you are having fun decorating, shopping, wrapping and baking. Ahh this time of year goes too fast. That looks just like Libby!!! Love this idea! Precious creatures...they give so much joy to us! Lovely idea for a gift!!! Kris now how adorable is that Lilly pillow cover! Every year John and I make a contribution to the ASPCA a perfect charitable organization for all of us graced by pets or are privelged to live with and love one. What an adorable pillow, looks just like your sweet pup! That is wonderful that it supports the ASPCA too. Hope you week is going well. Time always flies by at this time of year. Really cute pillows and glad to know it goes to a good cause. So sweet...and I like gifts that give back, too! OMG, these are adorable and so is your little one! Gifts that give back to our precious animals. Congrats on your house being under contract...bittersweet it is. I know you will find another home you love as much.. As long as you and hubby are there together it will be perfect no matter where. I love the pillow case. I love the glasses. Sweet. Great idea too, thank you for sharing. What a great cause, Kris, and oh, how neat that your pillow looks exactly like your baby!! I have to remember to look at Pottery Barn Teen, they have a lot of things that are perfect for many of us who are NOT teens!! I just read that you have a contract on your home---how exciting and the post was bittersweet. A police officer, how fitting. I wish you all the best in finding a new position for Terry and a home that makes you as happy as this one has. Super cute pillow and I like to buy from companies that give back, too. Love buying Toms shoes so a child in need gets a pair, too. Those pillows are adorable and like you love it when there is a charity involved with a purchase!! The pillows are very cute. Libby has a companion now :) . I love you for supporting an animal charity, Kris. Those pillows are so cute. I am like you I love buying things that give back and also American made products. Those are such cute pillows. I didn't know that PB donates some of the proceeds from those. Of course, I love the Boston Terrier pillow! 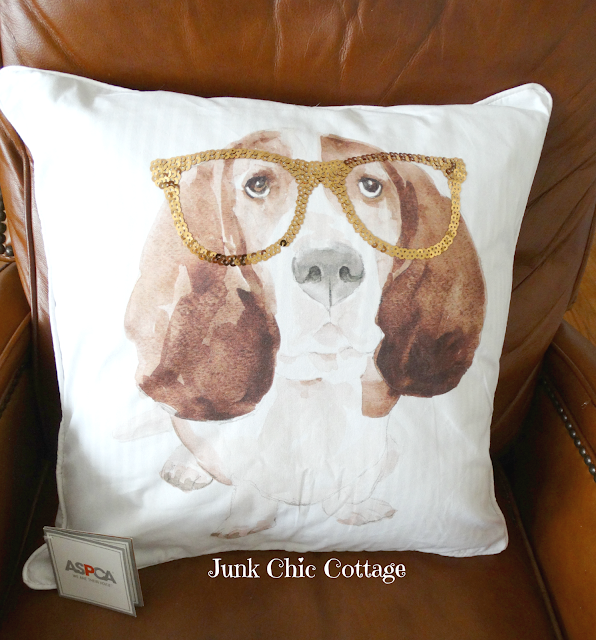 Love the pillow that is such a wonderful likeness to your.... fur baby. Love giving back..... We here donate to our local shelters with food gifts for the sheltered lost pets, or abandoned and abused. So much can be gifted back as to blankets for there cages, pet food, feeding bowls, you name it they appreciate any support they can receive. I wonder if they have an Italian Greyhound that matches our " Pia Bleu" ? Wonderful post Kris, coming from such a giving heart as yours. 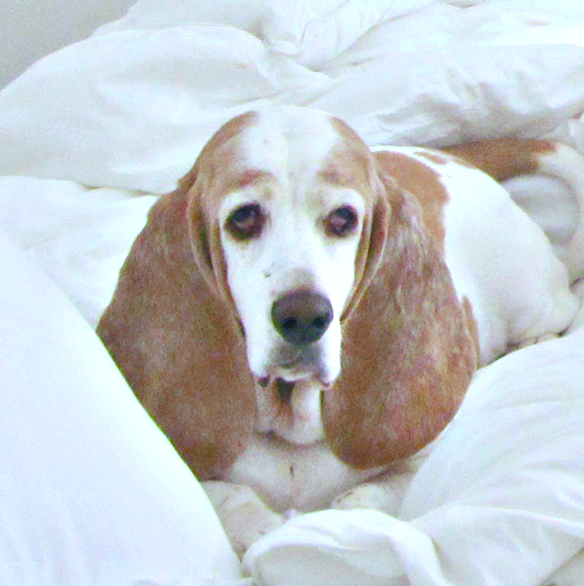 Oh my gosh, are you sure your smoochy poochy didn't model for that pillow? Those are the cutest pillows I have ever seen, and the cause is amazing and also near and dear to my heart! Ahh, those pillows are adorable. I am going to have to check them out. Oh my goodness, that pillow looks like a portrait of your Libby! So cute and all for a good cause, too. Thanks for sharing, Kris! That is a wonderful idea. Goodness knows, the ASPCA needs funds. Your little pooch is too cute! Those are neat pillow covers! Libby in glasses! Yup! That's her! Gifts that give back are a great way to go. Love this one. Great ideas for b-day gifts and Christmas... and for our little Toby.. Thanks for the heads up! Libby wearing glittery glasses! I love that retailers are giving to charities. Win, win! PB is also giving 25% to St. Judes Children's Hospital on certain items. 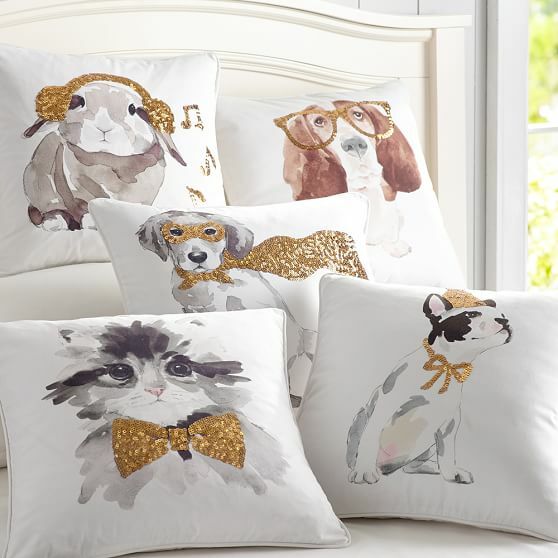 Love these pillows and your fur baby is adorable. What great gifts these make and give back at the same time. These are just darling! Yes, that's a good match for your little fuzzy face! How fun these. Thank you for telling us about them. I see a little Boston Terrier pillow that would be wonderful for my son and daughter in law. They have Bostons. Thank you so much for popping in to see me and your kind words about my little Carter. Wow those pillows are just adorable! What a great gift idea for dog lovers! Fabulous charity Kris, and what adorable pictures. You know how much I love my fur babies :). (I emailed you to thank you for the lovely tote bag, which I received yesterday, but it was returned. Not sure what went wrong so I thought I'd stop by here and let you know). I LOVE the Libby pillow... these are adorable and I love that they help all those sweet little bugs! We lost our dear Hannah in August and we adopted a rescue dog in Sept. A beautiful, horribly abused 2 year old Japanese Chin, named Gizmo... we call him Gizzy, it fits! Anyway, we were starting to figure out he had some vision problems and then he ran into a shepards hook in the backyard and popped out an eye, it was horrible. 3 surgeries later, he did lose the eye and now the cone but he has stayed sweet, strong and is still so very handsome, we love him to bits. I'll share pics soon, it's been all about Gizzy here lately! Thanks for sharing these adorable pillows and the gift of giving to our wonderful fur babies! Hugs, my friend!